The Exynos-powered Samsung Galaxy Note8 (and by extension the Galaxy S8 and S8+) are capable of capturing 2560x1440p videos at 60fps, not just 30fps, but the software on them doesn't allow it. But thanks to XDA Developers' senior member zeroprobe you can unlock the hidden potential of the Galaxy Note8. zeroprobe's Zero Camera Mod enables QHD@60fps video recording on the Exynos-powered Galaxy Note8, it also adds HDR for 4K/QHD videos, higher bitrate recording and removes the No Flash limit when at under 15% battery. You'll need Root access in order to enjoy Zero Camera Mod. 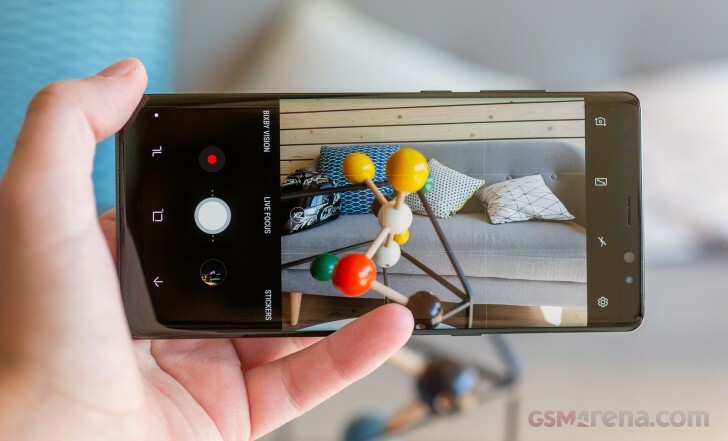 There's also an optional paid app by the developer of Zero Camera Mod, which enables more features - it removes the 4GB recording time limit, improves edge sharpness and de-noise settings (again only for the Exynos-powered Galaxy Note8), adds slow shutter speeds higher than the 10 second default limit and it let's you pick which gallery app the camera will take you to. This is so ridiculous. Such powerful components have been added to this device and still the framerate is locked.